Suzanne graduated from Yale University with a B.A. in art history. She served as a Policy Board member of the Legal Aid Society of New York, Civil Division, for more than a decade, raising funds for their Early Intervention Program, which serves the underprivileged, homeless, and foster children. During her twelve-year tenure as president of the Jay Heritage Center (JHC), Suzanne spearheaded a landmark public-private partnership agreement with New York State Parks and Westchester County to ensure continued preservation of, and public access to, the historic buildings and landscape of the 23-acre Jay Estate. She expanded the breadth of community programming at JHC, especially in early American history, African American history, and environmental stewardship. Her diversity outreach and advocacy earned her a Visionary Award from the African American Men’s Association of Westchester in 2011. Additional recognition includes Historic Preservation Awards (in 2010 and 2013) from the Garden Club of America. In 2018 she received the Sy Schulman History Award from the Westchester County Historical Society for her research and strong commitment to elevating the public’s appreciation of local history. She also been selected as a 2019 Honoree by New York State Senator Shelley Mayer and the 37th District for Women’s History Month in recognition of her work to illuminate the contributions of women in the American narrative. 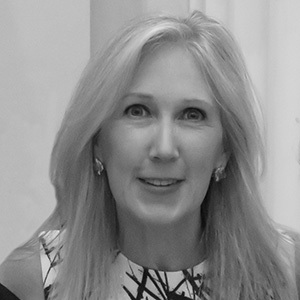 Suzanne is currently a trustee of the Preservation League of New York State, a board member of Preservation Action (an advocacy group in Washington, D.C.), and stewardship chair of the Friends of American Art at Yale University.